Dr. Noah Burstein, the man who made Luke Cage into the unbreakable hero he is today, is dead. When Luke goes down to New Orleans for the funeral, he finds The Big Easy to be anything but. Mysterious billionaires, a woman with a secret, amped-up gangs and a shadowy figure all lead Luke to the conclusion that there’s more to his father-figure’s death than meets the eye! The boys are back in town! 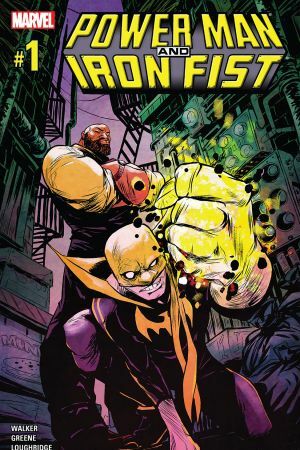 Power Man and Iron Fist track a mystery with all the ingredients of a classic Heroes-for-Hire tale. Cage’s definitive history. 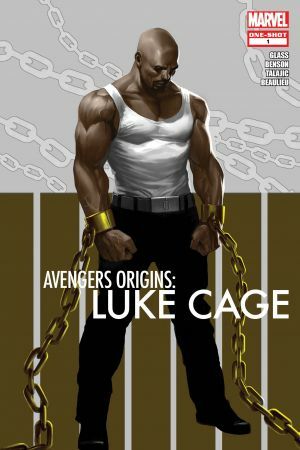 From his gang member days in New York, to his wrongful imprisonment, witness the rise of Luke Cage. With stunning art by Dalibor Talajic. 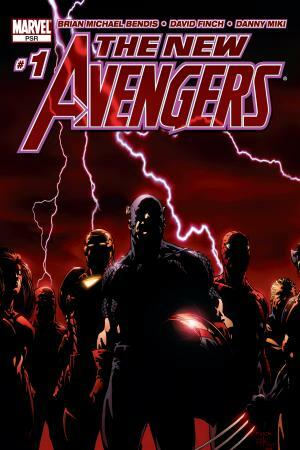 Luke takes a break from Avenging when he gets news of a tragedy involving a young man from his past. Luke’s seeking retribution from the Philly thug who nearly killed the innocent teen - too bad that thug’s Hammerhead, and he’s as hardheaded as Cage. Sweet Christmas, it all starts here! 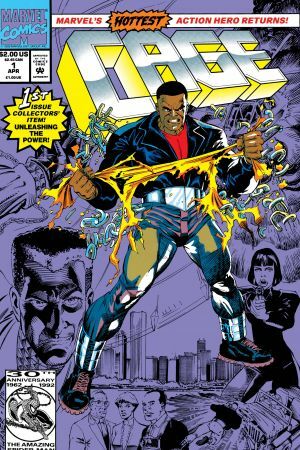 Creators Archie Goodwin and John Romita Sr. present Luke Cage, Power Man! 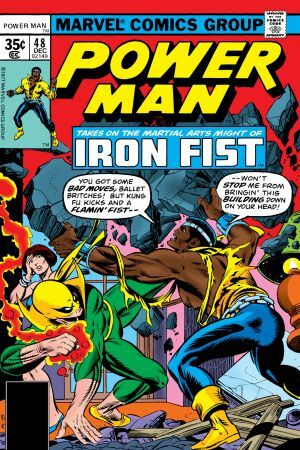 Exploding out of the Blaxploitation genre of the 70’s, Luke Cage was a pivotal hero for his time – relevant and flawed. 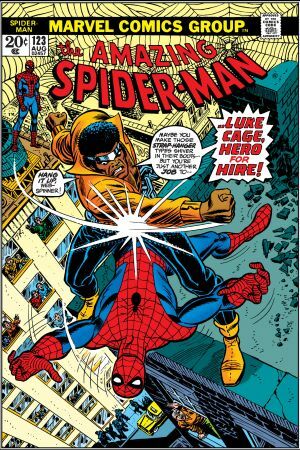 Also entrepreneurial – Cage was the first hero to hire out his services to the neighborhood. 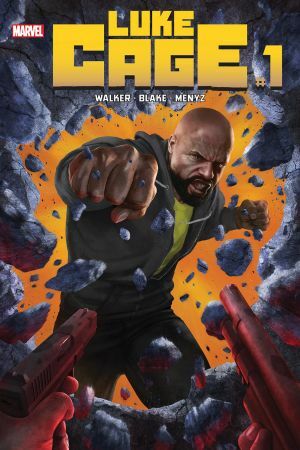 Check out Power Man’s first encounter, and spar, with his longtime partner! 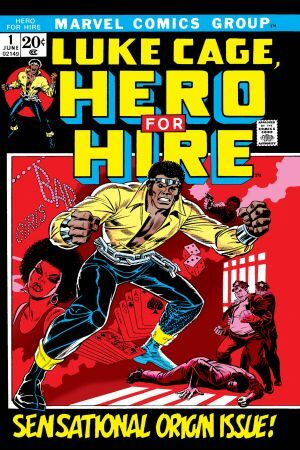 Cage becomes a Hero for Hire at a Chicago newspaper. Luke busts the crime, while the journalists get the story! J. Jonah Jameson hires Luke Cage to take out Spider-Man. But despite their heroic natures, Spidey and Luke are far from fast friends. Luke Cage joins Daredevil, Moon Knight, Black Widow and Dagger for some “For Profit Heroics”. 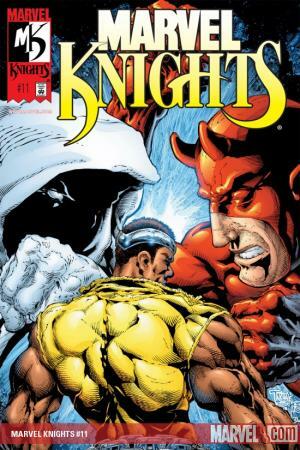 Meet the Marvel Knights, a team of Marvel’s grittiest street-level heroes. He’s come a long way from the yellow silk disco shirt. 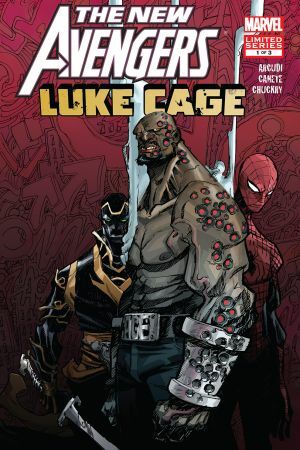 Luke becomes an Avenger in the aftermath to House of M. Writer Brian Michael Bendis starts things off with a bang - a breakout at The Raft, the maximum security prison home to Marvel’s homicidal villains. 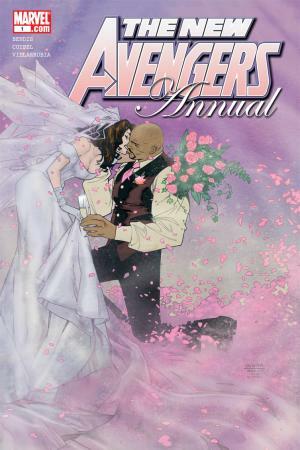 Since teaming up on the pages of Alias, Luke Cage and Jessica Jones shared an undeniable spark. The super powered duo’s already done “baby” - here comes marriage! You’re cordially invited to the super-sized wedding of Luke and Jess. 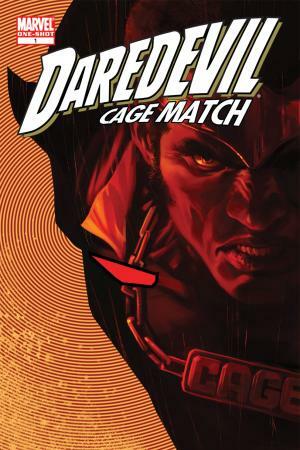 Matt Murdock and Luke Cage share history, whether as super powered allies or vigilantes on opposing sides. The Devil of Hell’s Kitchen and Harlem’s Protector take to the boxing ring for some healthy competition - i.e. an unhealthy battle of egos.